This is a square Black Magic Anthracite porcelain sign. This particular Black Magic Anthracite is predominantly white with black text and red highlights. 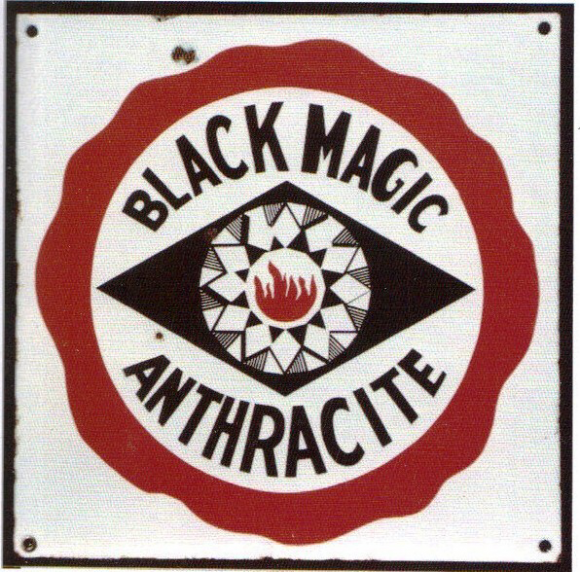 It reads, “Black Magic Anthracite” and features red flames in the center of a black diamond.